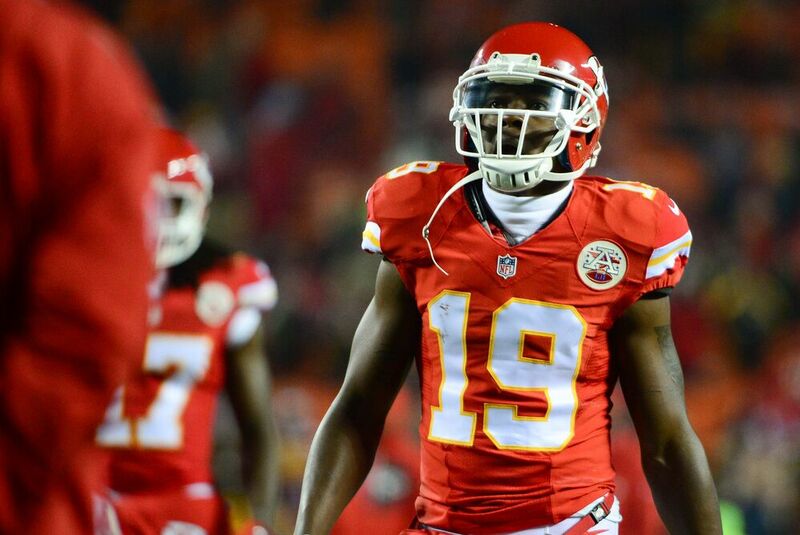 Former Kansas City Chiefs wide receiver Jeremy Maclin was released on Friday. He will meet with the Buffalo Bills on Tuesday, possibly signing with them. On the latter part of the news cycle on Friday, the Kansas City Chiefs not so quietly cut wide receiver Jeremy Maclin. With the emergence of rookie wideout Tyreek Hill and Kansas City still over the salary cap, this move was definitely a means to shed salary. While Maclin might be past his prime at wide receiver, he could be of value to teams in desperate need of wide receiver versatility. One team that has great interest in Maclin’s services are the Buffalo Bills. Former Chiefs’ WR Jeremy Maclin is scheduled to visit Buffalo today, with plans being made to visit Baltimore on Wednesday, per source. Buffalo would be wise to do everything in its power to have Maclin put pen to paper on Tuesday. Though both Buffalo and Baltimore have a need for a proven wideout like Maclin, Baltimore trumps Buffalo in terms of organizational success for the last two decades. The Ravens have won two Super Bowls since arriving in Baltimore in 1996. Buffalo has the longest active playoff drought, having last played a postseason game in 1999. In short, Buffalo needs to act fast if the Bills want to sign Maclin. That being said, they do have a solid shot at landing Maclin because of both parties connections to the Philadelphia Eagles organization. Maclin was drafted by the Eagles out of Missouri back in 2009. He is being recruited by his former Philadelphia teammate in running back LeSean McCoy to be an important part of the Bills offense. New Bills head coach Sean McDermott was Andy Reid’s defensive coordinator in Philadelphia during Maclin’s first few years in the league. If Maclin can get behind what McDermott and new Bills general manager Brandon Beane are building in Orchard Park, there is a decent chance he ends up signing with Buffalo.